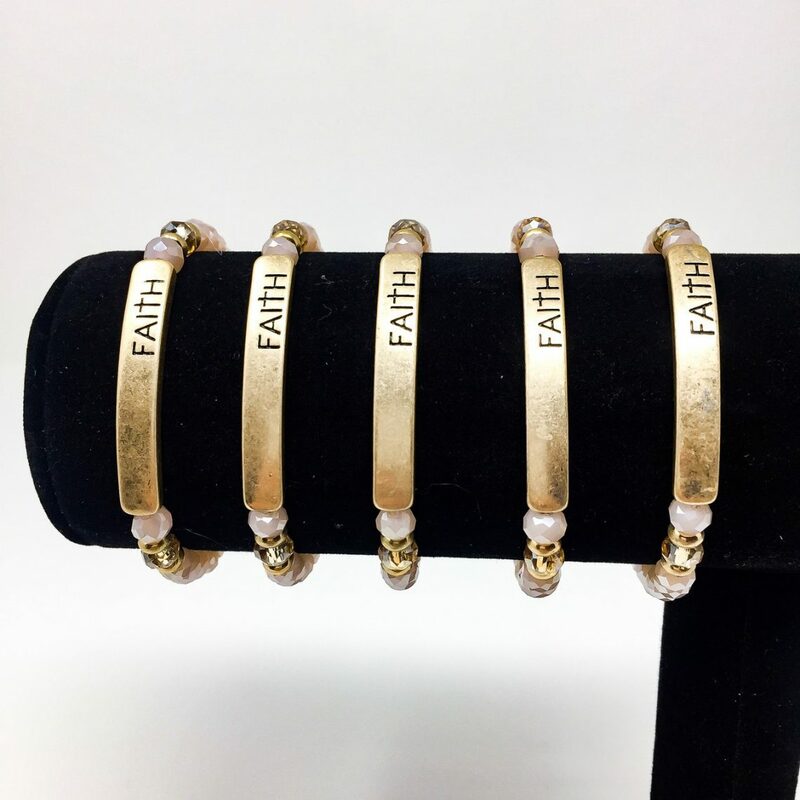 These gorgeous stacking bangle bracelets shimmer with a gold bar inscribed “FAITH”, baby pink crystals in matte and translucent, and gold accent beads. 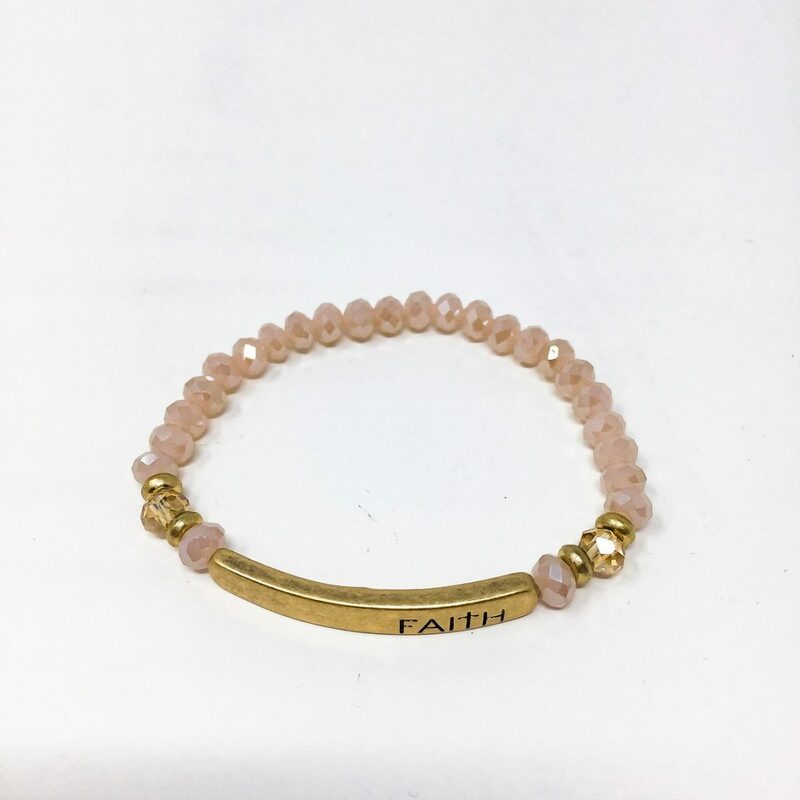 This gorgeous stacking bangle bracelet shimmers in baby pink crystals, painted gold beads, and a gold plated bar inscribed with the words “FAITH”. 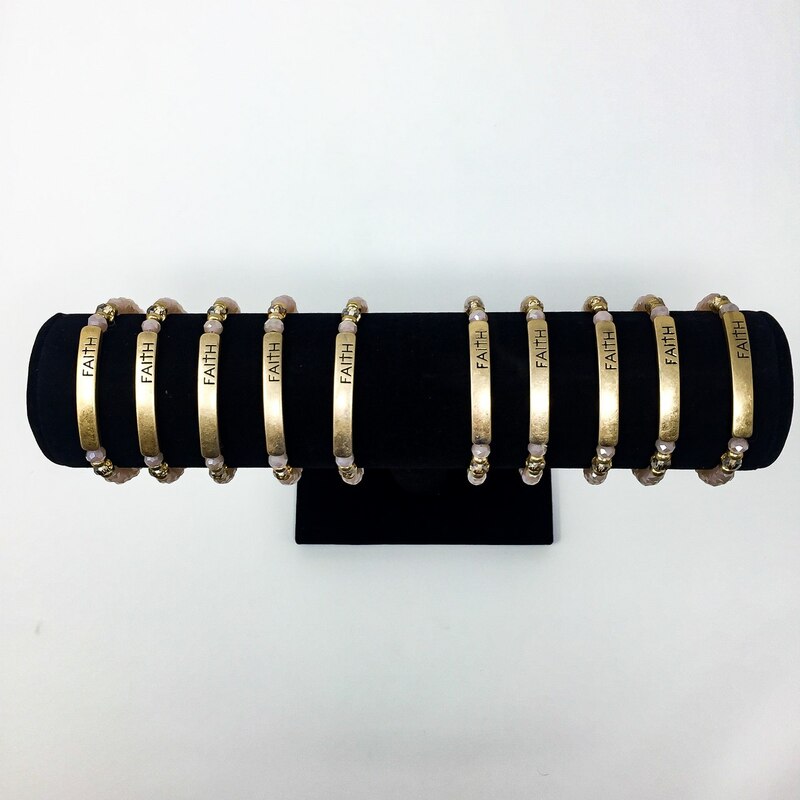 Designed to be stacked with others for a really cool look. 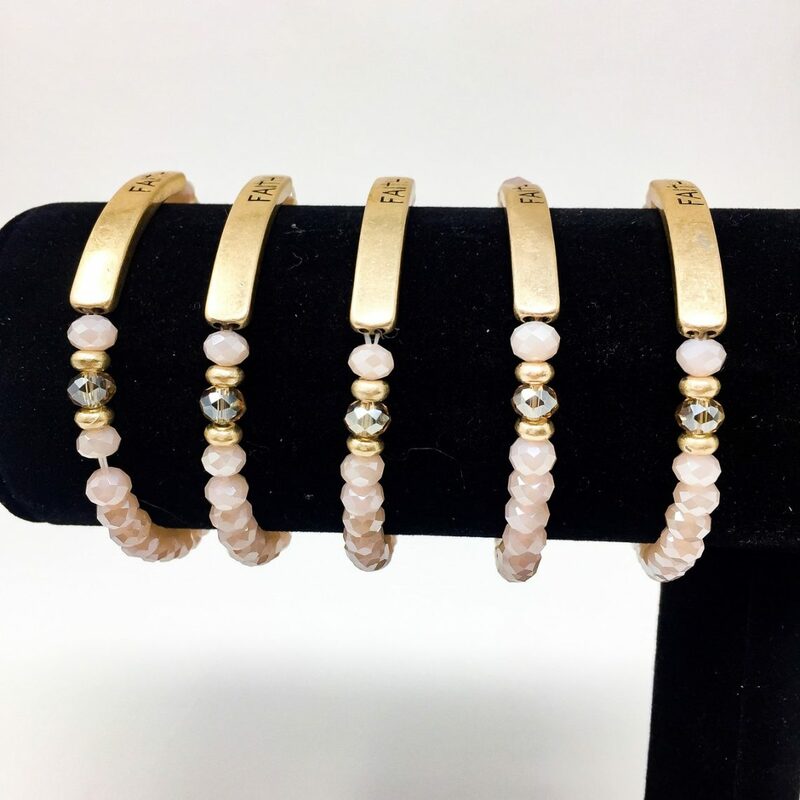 Beautiful and easy gifts.